China Lutong Parts Plant is specialized in high quality diesel fuel injection parts & locomotive diesel engine parts with a long history, Our main products include Head Rotor(VE Head Rotor,Perkins Head Rotor),Diesel Nozzle,Diesel Plunger,Diesel Elements,Diesel Injectors,Delivery Valve,Cam Disk,Drive Shaft,Repair Kits,Feed Pump,Roller Ring,VE Pump Parts,Nozzle Tester,Test Bench,Common Rail Injector,Common Rail Nozzle,Common Rail Injector Control Valve.and so on. 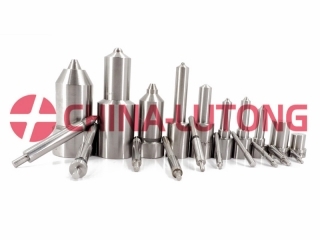 China Lutong is specialist in diesel parts, such as head rotor, plunger, d.valve, nozzles etc for Toyota, Nissan, Isuzu, Mitsubishi,Scan, Man,Merderz,Iveco etc. 1070-12006	DN4SD24	10500-1130	4DR, 6DB, 6DC, 6DR, 6D10, 10DC6. 1070-12045	DLLA160S354NP49	105015-3690	8DC4, 8DC7, 8DC8, 8DC80, 10DC8.